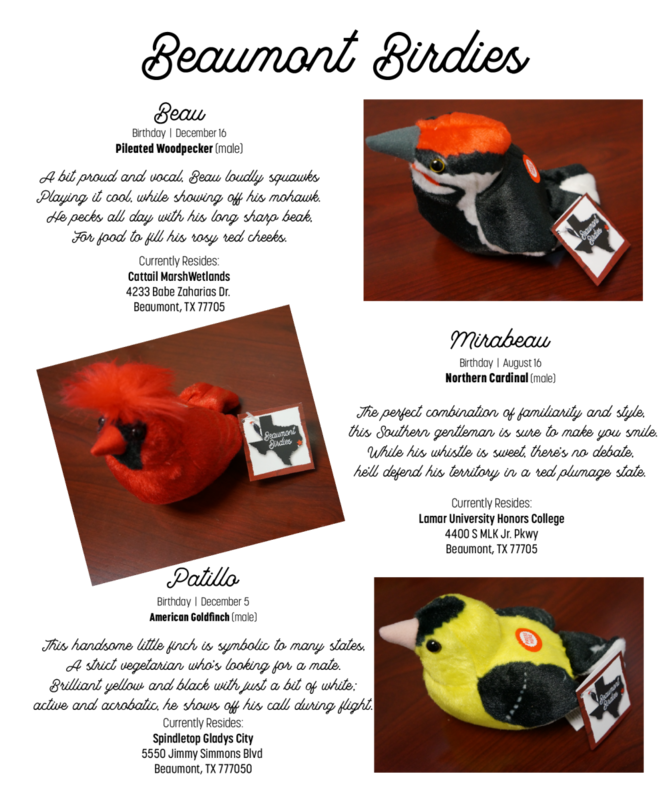 The Beaumont Convention and Visitors Bureau would like to officially introduce you to the newly released Beaumont Birdies! 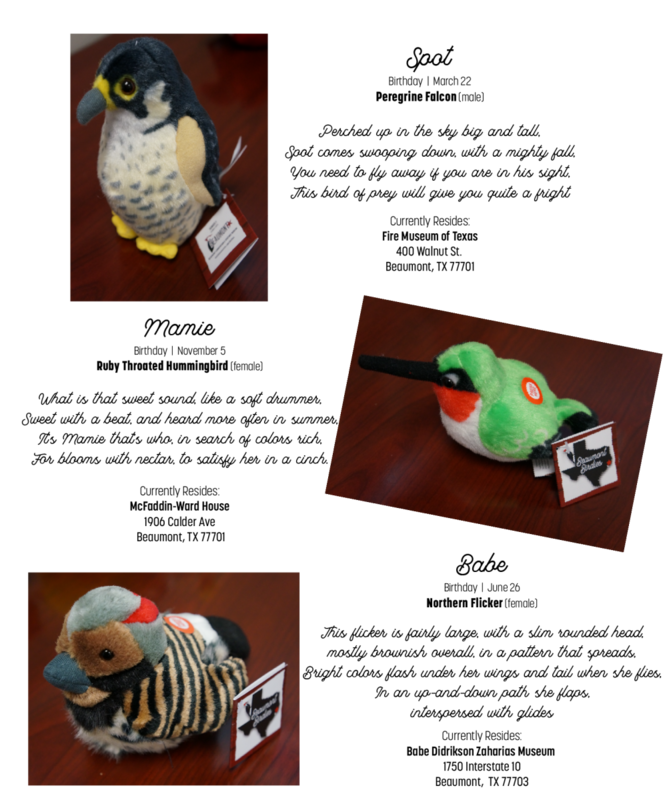 The first series of Beaumont Birdies includes six plush birds, each named for a local connection to highlight their favorite area attraction. Each Beaumont Birdie comes with its own custom profile tag and plays its own unique birding call. 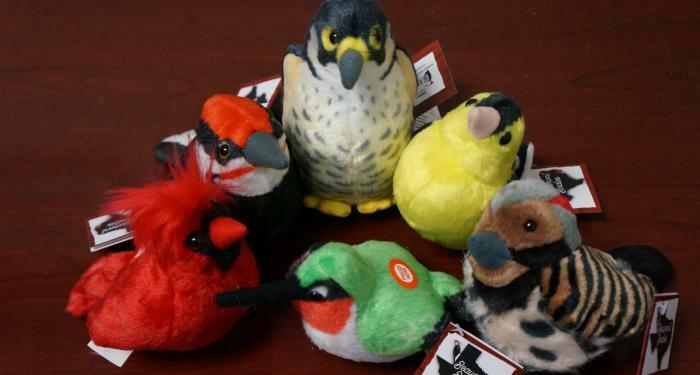 These Beaumont Birdies are part of a new initiative designed to capture the interest of a broader audience in the birding community and increase awareness of Beaumont’s birding hotspots. Typically, birders are a mature audience, however younger generations have become fascinated with identifying birds and the outdoors. The CVB’s Beaumont Birdies seek to bridge the demographic gap in the birdwatching market and expand awareness of the many birding sites in Southeast Texas. 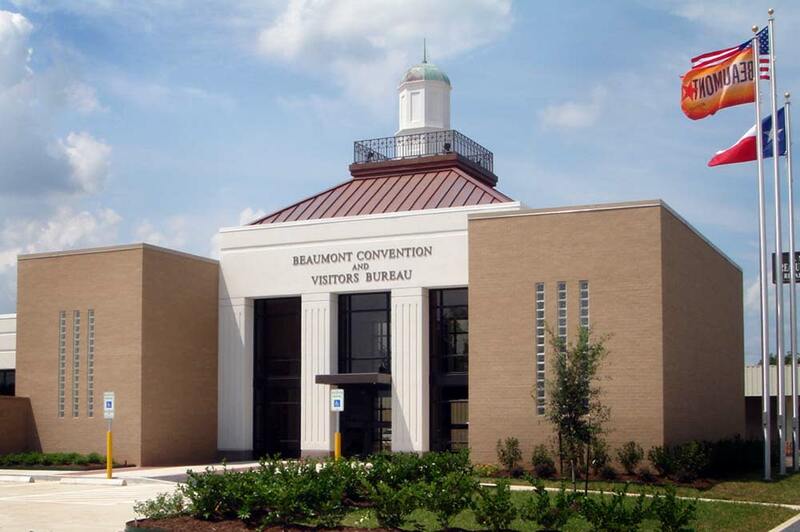 The overall tourism marketing program features a new Beaumont Birding Package that offers a special discounted hotel rate along with a unique Welcome Bag. The Welcome Bag is picked up at check-in, and includes a custom Birding Itinerary, Souvenir Book, Birding Checklist, Trail Maps and one Beaumont Birdie. The Beaumont Birdie is only available by booking through the Beaumont Birding Package at the two host hotels. Southeast Texas is a premiere birding destination, located along two migratory flyways, which bring a wide variety of birds to the area. Within a 40-mile radius, you will find the wild coastal shore of Sabine Pass and Sea Rim State Park, the meandering bayous of the Anahuac Wildlife Refuge, and the thick forests of the Big Thicket and Piney Woods.